Syrmo – The evolution of skateboarding? Now here’s a new subject for debate. 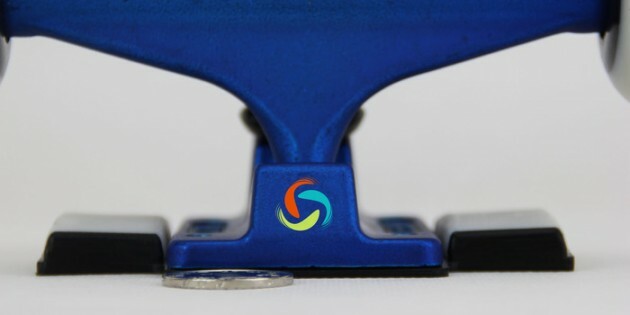 A new ‘motion tracker’ for skateboards has been developed to track the way your tricks are made so you can analyse your movement for ultimate perfection. How does this work? Essentially, you attach a Syrmo sensor to your deck in the form of a super-slim riser pad, and the data from each movement is captured and fed to you by a phone app. You get pin-point movement stats so you can see your angles and pop force, you can also record and manage synchronized videos and see 3D Replays of your efforts as soon as they go down too. To us, it sounds absolutely ridiculous, as the beauty of skateboarding is formed from freedom and fun, not perfection or competition. But saying that, there will be others out there who may think perfection is everything and this is just a bit of fun to analyse who can pull the most perfect tricks. Question is, is this like the ultimate ‘skate selfie’ for the robotic Street League contest skater? Or will this technology actually enable you to learn those difficult tricks you always struggle with and point out exactly why you can’t land them? Does this world need any more stats than it already has?! This project is now at the alpha-testing phase with several working prototypes.